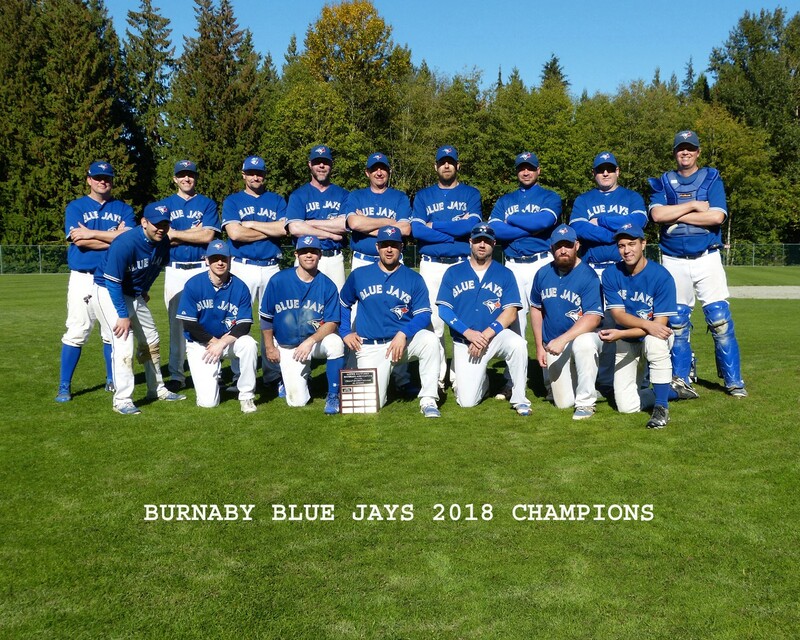 Signs of a long layoff were evident at the LMBA’s 30+ Division championship game between the Burnaby Blue Jays and Howe Sound Hounds. Neither team had played a complete game for over a month due to rain outs and statutory holidays. Pitchers were well - rested but signs of rust were evident as there were 17 walks handed out during the contest which led to numerous base runners. Blue Jays took advantage of four walks in the bottom of the first inning to jump out to a 2 – 0 lead. A six run fourth highlighted by 2 rbi hits by Kyan Kantor and Rod Van Dorn, Jr. gave the Blue Jays a commanding 8 run lead which proved too much for a game Hounds squad to overcome. Despite issuing 8 walks, the Jays pitching staff of Jordy Cunningham, Jeff Weisgerber, Jeff Ammer, and Mitch Hanna held the Hounds to 4 base hits as the Jays wrapped up their third straight 30+ Division championship (and fifth overall). Thanks to a very competent umpire crew - Pat Cascio (Home Plate) and base umpires Don Sytko and Jerry Tregaskis - great job, guys!